Perform the holiest of miracles by turning your useless supply of life sustaining drinking water into actual wine with this incredible machine. 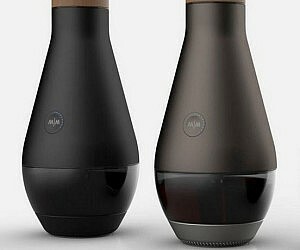 This revolutionary device makes it possible to transform water into a rich and flavorful wine. Jesus just became obsolete. Editor’s note: it has been revealed by the creator of this product that this item was a spoof marketing campaign to raise awareness for bringing clean drinking water to underpriviledged nations. For more information, please visit their website – http://themiraclemachine.net.